IDLE is a lightweight Python IDE you can install on your Ubuntu 18.04 desktop. 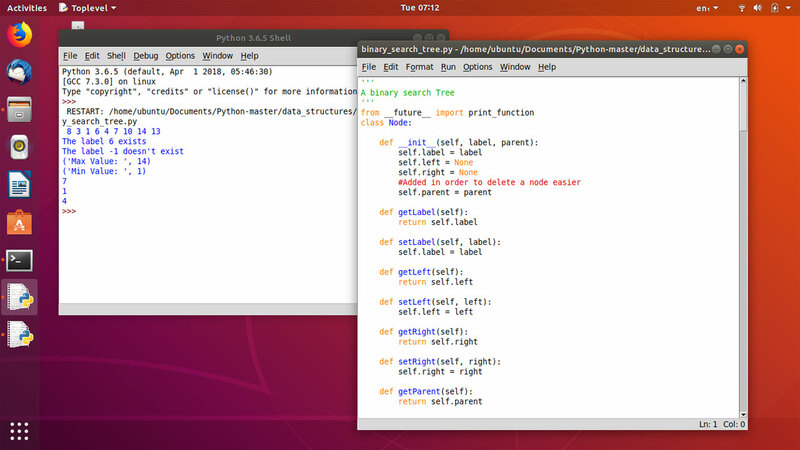 IDLE on Ubuntu includes both python interpreter and the code editor. IDLE allows you execute your python file with a single keystroke by hitting F5 key, the output will show up in the IDLE python interpreter.